I took some time today to organize my home studio, which was long overdue. Somehow, new vintage items had made their way in there. Magic, I tell ya. Among the vintage shoes, antique display pieces and glass bottles, there's lots of collected paper. Vintage maps, postcards, wallpaper, journals and photos. I've always planned to do collage work, but it just hasn't taken priority. 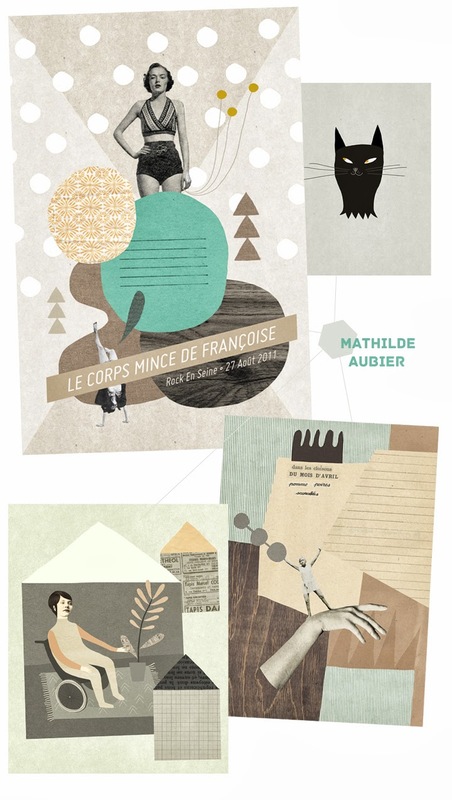 When I came across Mathilde's work, I become a bit more motivated.